Extension is an extra feature which helps in browsing internet more easy and helps in different ways in functioning their perspective features .Now here are the top 10 extensions which i found interesting and are created by Google itself chrome . 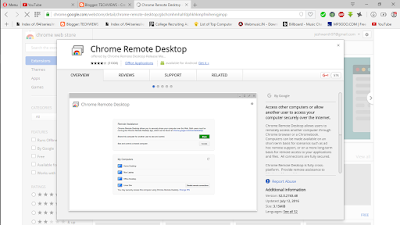 Access other computers or allow another user to access your computer securely over the Internet.Chrome Remote Desktop allows users to remotely access another computer through Chrome browser or a Chromebook. Computers can be made available on an short-term basis for scenarios such as ad hoc remote support, or on a more long-term basis for remote access to your applications and files. All connections are fully secured. 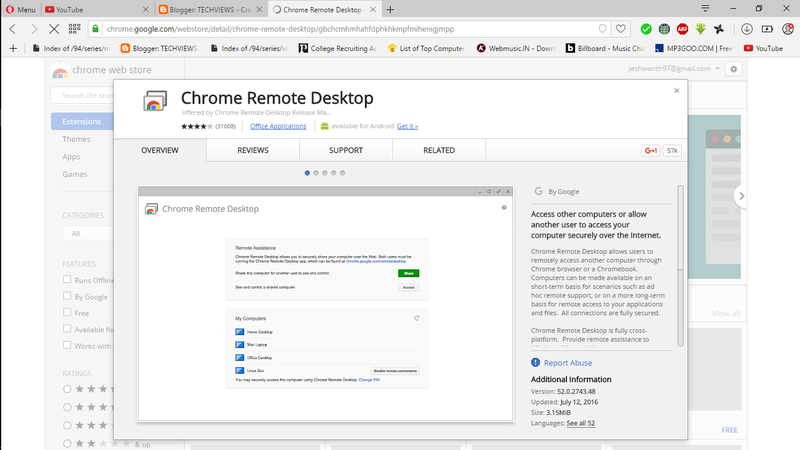 Chrome Remote Desktop is fully cross-platform. Provide remote assistance to Windows, Mac and Linux users, or access your Windows (XP and above) and Mac (OS X 10.6 and above) desktops at any time, all from the Chrome browser on virtually any device, including Chromebooks. This is much helpful when we find a problem in our computer and you can use other PC's chrome to resolve the issue browsing on the other computer using this extension. Blocks domains/hosts from appearing in your Google search results.The personal blocklist extension will transmit to Google the patterns that you choose to block. When you choose to block or unblock a pattern, the extension will also transmit to Google the URL of the web page on which the blocked or unblocked search results are displayed. You agree that Google may freely use this information to improve our products and services. Best one to avoid unnecessary sites which are spam and comes in our way while we browse. Reduces data usage by using Google servers to optimize pages you visit.Reduces data usage by using Google servers to optimize pages you visit. Browse more for less! By enabling this extension, Chrome will use Google servers to compress pages you visit before downloading them. Pages accessed using private connections (HTTPS) or in incognito tabs will not be optimized or seen by Google. Get more visibility into your data usage by clicking on “Details” to see how much data is used by the sites you visit. This might help you make more informed decisions regarding your usage based on the type of connection you are using. You can also enable Data Saver on Mobile Chrome on Android from the Settings menu. This extension allows you to initiate a Google search using any image on the web. By the Google Images team.Found an image on the web that you’re curious about? 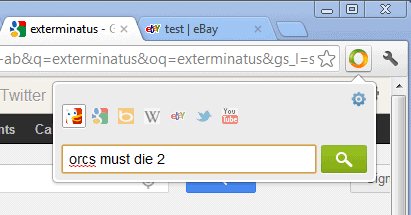 With this extension, you can initiate a search on Google using pictures on the web. You can discover photos of places, learn more about art pieces, identify landmarks, and more.To use this extension, right click on an image on the web and select “Search Google with this image.” You can also add a clickable Search by Image icon that appears when you point to an image. When you search by image, you’ll see results that show you where that image, and similar images, appear on the web. You can see webpages that contain that image, or find the same image in different sizes or resolutions. View translations easily as you browse the web. By the Google Translate team.Highlight or right-click on a section of text and click on Translate icon next to it to translate it to your language. Or, to translate the entire page you're visiting, click the translate icon on the browser toolbar. It is best extension usually when we find a we donot understand we browse in other tab it brings up a list of pages about it or we can simply use google translate. It works same as Google Translator. Broadcast any URL to computers within earshot.Google Tone turns on your computer's microphone (while the extension is on) and uses your computer's speakers to exchange URLs with nearby computers connected to the Internet. You can use Google Tone to send the URL for any web page, including news stories, pictures, documents, blog posts, products, YouTube videos, recipes even search results. Any computer within earshot (including over a phone or Hangout) that also has the Google Tone extension installed and turned ON can receive a Google Tone notification. You need to be logged into your Google account to use Google Tone, and your Google profile name and picture will be displayed with the URL in a Google Tone notification. To receive a URL with Google Tone, Chrome needs to keep your microphone on. Google Tone may not work in loud spaces, over a distance, with a poor Internet connection, or on computers without a microphone or with a microphone incapable of detecting sound broadcast by Google Tone. Discover webpages similar to the page you're currently browsing.Discover webpages similar to the page you're currently browsing. Enjoying the page you're looking at and interested in other similar pages? Trying to find more pages about a topic you're researching, but having a hard time coming up with the right query on Google? Google Similar Pages can help! Now you can quickly preview and explore other pages that are similar to the one you are browsing -- on the fly. Its basically like when we are in a photography page we can click on extension and it shows all the similar pages regarding photography. Use Hangouts to keep in touch. Message friends, start free video or voice calls, and hop on a conversation with one person or a group. * Include all your friends with group chats for up to 150 people. * Say more with photos, videos, maps, emoji, stickers, and animated GIFs. Turn any conversation into a free group video call with up to 10 friends. So, these are the best 10 chrome extensions which i thought are cool by google be sure to mention any other which i did not include .